If you want to have a baby, but you and your partner have struggled to conceive, in vitro fertilization (IVF) can increase your chance of pregnancy. 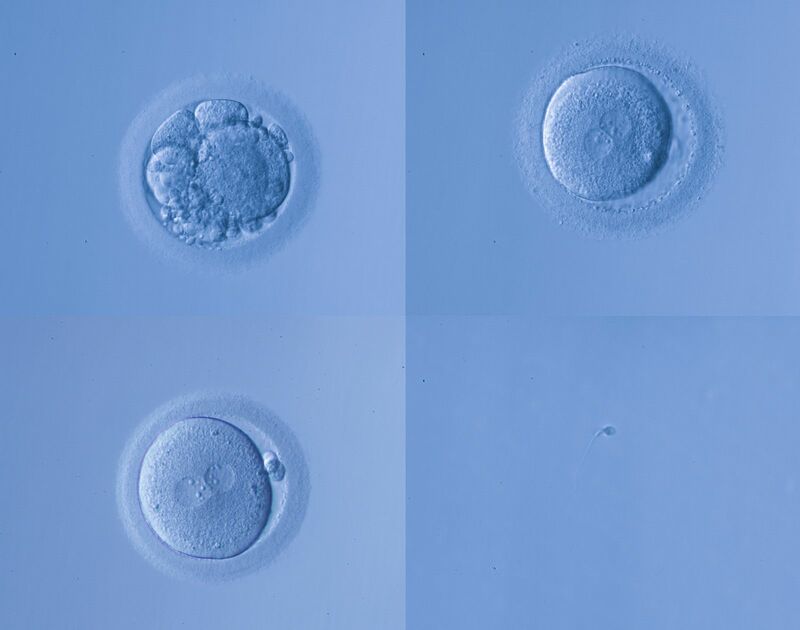 While every case is unique when it comes to assisted reproductive technology (ART) procedures, knowing the basic timeline of IVF treatment can help patients understand what is involved in the process. At the Centre for Reproductive Medicine in Lubbock, TX, Dr. Janelle Dorsett discusses how long the IVF process takes. Read on, and then schedule your IVF consultation to learn more. In the months before you undergo IVF, we will lay the ground work for your treatment plan. During the initial consultation, our staff will gather comprehensive medical history information from you and your partner and clear up and concerns or questions you might have about the process. The initial consultation will give us a chance to go over your diagnosis, if one had been made, and the specifics of your chosen treatment plan. Our team will also run detailed lab work to give us a better idea of your fertility and create a personalized IVF plan. This testing includes everything from a blood panel, to ultrasounds, to infectious disease screening. We will also assess your partner’s fertility with a sperm analysis. While it might seem counterintuitive, you will start taking birth control pills to control your menstrual cycle before IVF. Patients typically start taking birth control at the beginning of the menstrual cycle prior to the IVF cycle, and they can expect to continue to take birth control for about a month. Our team will provide you with specific instructions on when to start and stop taking your pills. We will teach you how to self-administer your IVF injections and go over the entire process with you in detail so you know exactly when to do on your end. Your IVF cycle begins on the day of your first period. Continue to follow any birth control pill instructions we have given you. At the beginning or your cycle, we will also perform a baseline ultrasound before we start you on your IVF medications. This ultrasound allows us to assess the condition of your uterus and ovaries. A few days into your cycle, we will have you start taking your IVF medications. Patients can expect to take these medications for about 11 days. After about three days of taking the IVF medications, you will come in every day or two for a blood test and ultrasound. Our team will monitor the development of your follicles and eggs during this time through the ultrasounds and blood tests. Patients should be aware that this monitoring requires anywhere from three to seven office visits. When your follicles have reached an opportune size, it is time for the trigger shot, which will cause ovulation to occur within 36 hours. Around day 14 of your cycle, we will retrieve your eggs and combine them with sperm. Over the course of the next few days, we will let the embryos grow. On day 3 or 5, the most healthy embryos can be transferred to the uterus. Following the transfer, our doctors will place you on a progesterone supplement to support the uterine lining and promote implantation. About 12 days after the transfer, it will be time for your first pregnancy test at the clinic. If the test comes up positive, we will schedule another pregnancy test to be taken within one week. If the second test is positive, we will then schedule an ultrasound for two to three weeks later to confirm the pregnancy. If you are indeed pregnant, we will transfer your care to your OB GYN. While fertility struggles can cause so much uncertainty, being informed about the timeline and what to expect from the IVF process can help relieve some of the stress from this time in your life. If you have questions about fertility treatments or are interested in IVF, the Centre for Reproductive Medicine is here to help. Call our office at 806-788-1212 or contact us online anytime.